The MPL810 Pilot Laser is a great system for anyone looking for a very simple yet powerful class 4 laser. The Pilot Therapy Laser is more powerful per wavelength than the K-Laser Cube, LightForce by LightCure, and other much more expensive models. Wireless foot pedal is used to turn the system on and off. interchangeable emitter handles for both small and large treatment area. Fixed fiber optic cable means that there is not possibility of getting dirt on the end of the cable and melting it. This is common failure on more expensive class 4 system. At less than 5.5 lbs, this system is more portable than many other class 4 with this power level. Simple controls make this the best system for someone who doesn't want to pay a lot more for bells and whistles that they will never use and reduce the reliability of the product. LightForce is a trademark of LiteCure, LLC - all rights reserved. Cube 3 is a trademark of K-LaserUSA - all rights reserved. 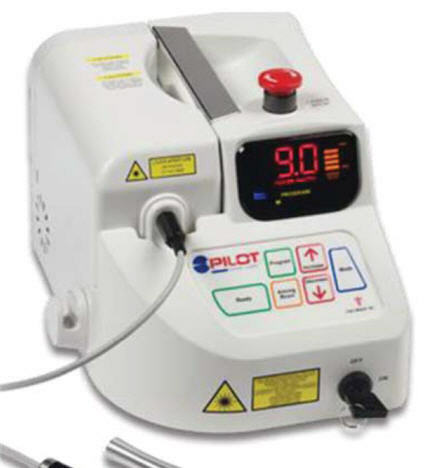 The Pilot Therapy Laser is so EASY TO OPERATE. The system was designed to avoid complicated software programs that do nothing to create better treatment outcomes. Multiple presets often provide false confidence in manufacturer’s settings which typically reflect only the limitations of the laser, and often create more complications in determining treatment protocols. Every system comes with a two-year warranty. Each laser purchase includes installation and comprehensive clinical training from experts in therapeutic laser applications. 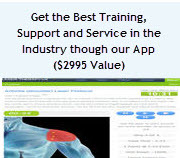 A representative from the factory will assist you over the phone or using Skype in implementing a wide variety of advanced therapeutic laser treatment protocols in your clinic. Marketing is the ‘life-blood’ of your business. In order to assist in maximizing the return on your investment, a representative from the factory provide you with marketing tools to help maximize your clinic revenue. This service is done using email and over the phone. ColdLasers.Org offers conventional lease-to-own contracts for all business through one of several financing companies. Leasing can actually save you money when accounting for your tax liability. Our finance partners offer great rates and services industry-wide for your equipment lease or loan. On/Off operation is done with the included cordless foot switch. It all adds up to one the best values in a class 4 laser. This is an FDA cleared class-4 laser for therapy that can be used for treating pain, inflammation and for increasing blood flow. 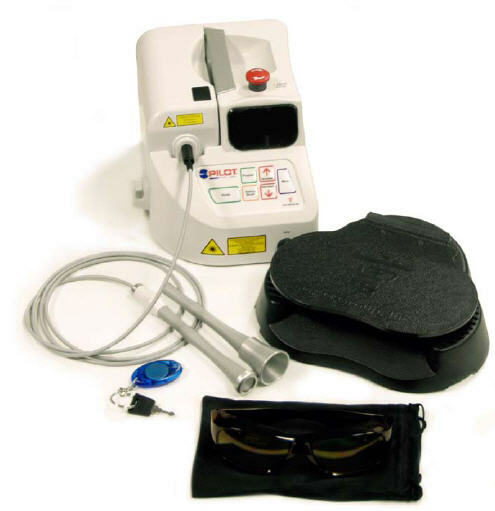 The Pilot laser system comes with a 2 year Parts & Labor and requires no mandatory servicing. The system includes everything you need to get started including training and certification over the phone. This system is imported from China but the importer has a service facility in the US. Some other web sites claim it is made in the US but that is not correct.